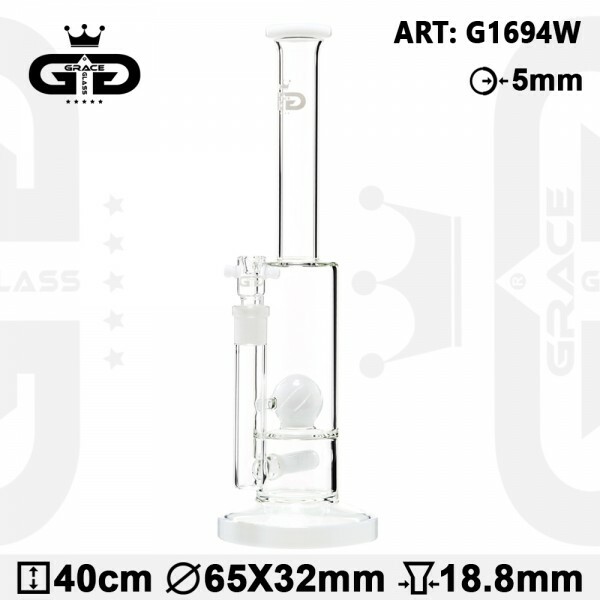 This White Dome Perc Grace Glass bong is a special piece of glass artwork that can lift you high! It is made of a robust heat proof borosilicate glass, formed in the shape of a flat base tube. It comes with a slit diffuser and a dome percolator that filters and extra breaks up your smoke respectively, offering you this way a cooler and smoother hit! With the Grace Glass logo featuring at the top of the tube, the whole set-up ends up in a white mouthpiece ring.